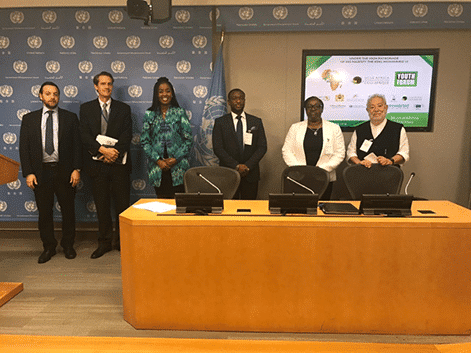 On the 2nd October 2018, as part of the UN General Assembly, United Cities and Local Governments of Africa hosted a joint press conference to announce a collaborative partnership with UN Habitat, UNODC and UNESCO to host the inaugural Youth Forum at the up and coming 8th Africities Summit, which will take place from November 20-24, 2018 in Marrakesh, Morocco, under the theme: “The transition towards sustainable cities and territories: The role of Local and Sub- national governments of Africa.” The Africities Summit is the flagship event of the pan African Organization United Cities and Local Governments of Africa (UCLG Africa) and is held every three years in one of the five regions of Africa. 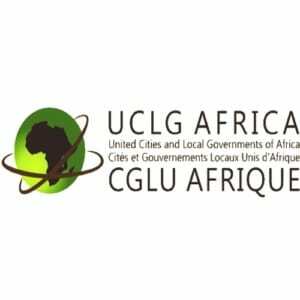 The 2018 Africities Summit is organized by UCLG Africa under the High Patronage of His Majesty King Mohammed the VI, in collaboration with the Moroccan Association of Presidents of Municipal Councils (AMPCC), the Association of the Regions of Morocco and the City of Marrakesh, and with the support of the Kingdom of Morocco. Around 5,000 participants are expected at the event, representing all the stakeholders of African local life as well as their partners from other regions of the world, including: African Ministers for Public Service, Urban Development and Housing, Decentralization and Local governments; African leaders of subnational and local governments; Representatives senior staff of national and local and subnational governments administrations; Representatives of the Business Sector; Civil Society Organizations; African Traditional and Moral Authorities; Researchers and Academia; Development Partners and International Cooperation Agencies, among others. Therefore in order to celebrate its 20th anniversary, the Africities Summit has endeavored to set up and inaugurate the Youth Forum during this 2018 edition, in order to engage young people from across the continent and the diaspora to connect, share views and showcase innovative solutions that will create the Africa We Want. The Youth Forum includes a competition that is opened to young Africans aiming at harvesting as many new ideas as possible to accelerate the transition towards sustainable cities and territories in Africa, targeting Agenda 2030 of the United Nations and the Agenda 2063 of the African Union for the realization of “The Africa We Want”, and of the High Five priorities proposed by the African Development Bank to accelerate its implementation.